Orotina Luxury House in an Exclusive Community with Every Amenity! Orotina luxury house located in Condominio Bosque del Sol.This is a gated community with security 24/7, clubhouse, pool, tennis court and a soccer field. Conveniently located off of toll highway 27 just 45 mins from San Jose (60 kilometers) and 35 minutes from Jaco (40 kilometers). 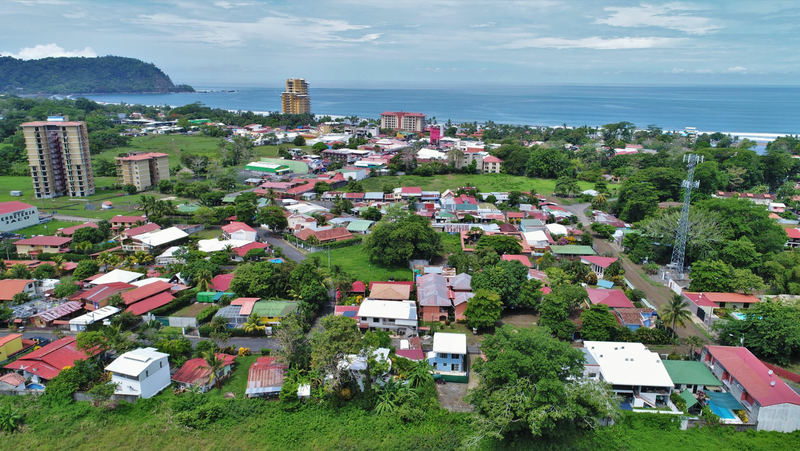 Less than 10 mins from the proposed new International Airport in Orotina and 25 mins to the new provincial Hospital being built in Puntarenas. Features 3 bedrooms 2 1/2 bathroomsAir conditioners in each room. Living room/Dining and kitchen area 2 x 24,000 BTU.mEach bedroom as a 12,000 BTU A/C unit. Large kitchen with granite counter tops, breakfast bar and oversized pantry. Custom stone work inside and out. Indoor garden and water feature. Office with custom built-in furniture. Laundry room with custom built-in furniture.Storage attic with shelving over the laundry room. Large terrace with fire pit/BBQ and seating areas. Two car garage, imported light fixtures,LED bulbs throughout PVC. Windows with window film to reduce UV rays. Watering system for garden, alarm system, motion sensor security lights around the exterior. Wired for ethernet, structured cabling for network and TV. Perimeter fence and electric gate. Two producing Mango trees, one grapefruit tree and a Lime tree (not producing yet). Master bedroom has an ensuite with double vanity, a large double shower with bench and a walk in closet. The two guest bedrooms share a jack a jill bathroom with double vanity with two marble sinks and a separate shower and toilet. The guest bedrooms have large closets. Price Includes: stove, microwave and dishwasher. All ceiling fans (7) and All imported light fixtures.